Praise Cthulu! NASA’s Juno spacecraft has just delivered the most incredible images of Jupiter’s Great Red Spot—and that’s a really high bar to clear. The spacecraft has spent the last year beaming back some of the most mind-blowing images of the gas giant. But today’s batch marks a historic moment for the orbiter, which got closer to the Great Red Spot than ever before on Monday, July 10th. Although all Juno pics are ethereally beautiful, these Great Red Spot snaps are just absurd. Seriously, how dare you go and be this beautiful, Jupiter. 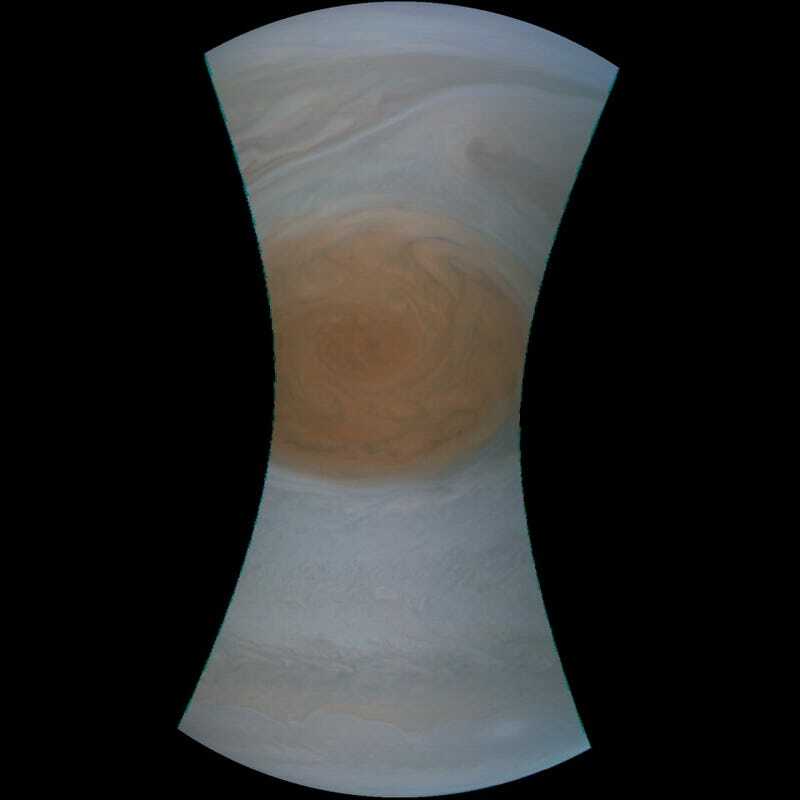 Even the unprocessed images of the storm, the first of which you can check out on the JunoCam website, are spectacular. Here’s a shot with the Great Red Spot looking so placid you might forget it rages with winds up to 400 miles an hour. Or that it’s 10,000 miles (16,000 kilometres) wide. More magnificent pics are sure to crop up in the coming days. If you’d like to take a stab at colouring this beast for yourself, head over to JunoCam’s site. Remember to share your creations with us in the comments!